“Duets of Love and Passion” sparkingly opened a new concert season for Boston Early Music Festival at Jordan Hall on Friday with a focus on the vocal works of Agostino Steffani, interspersed with instrumental pieces that allowed each member of the variegated continuo ensemble to shine in turn. Friday’s concert also celebrated the group’s newly-minted CD that includes the entire program heard at Jordan Hall. Although much admired in his own time as a composer of operas and chamber duets, Steffani is not exactly a household name to today’s concertgoers. Boston may be ahead of the game, however, having had its first taste of large-scale Steffani with the fully-staged production by the Early Music Festival of his opera “Niobe, Regina di Tebe” in 2011. Given Friday’s well-chosen program and stellar performances, anyone not already a Steffani fan could hardly have left Jordan Hall without succumbing to the sheer beauty of his duets. Born near Venice in 1654, Steffani died in Frankfurt, Germany, in 1728. Although he trained in Padua as a singer, studied composition in Rome, and encountered the music of Lully and Charpentier during a year’s stay in Paris, his career as composer and Kapellmeister, and later on as diplomat and priest, was spent entirely in Germany at the courts of Munich, Hanover, and Düsseldorf. Few of Steffani’s duets were printed during his lifetime, yet they circulated widely throughout Europe in manuscript copies. Handel acquired a volume of Steffani duets in Rome in 1706. He showed his admiration by borrowing from them freely and emulating their highly accomplished contrapuntal textures in his own vocal duets; three of the duets that Handel studied were included in Friday’s program. Like Handel’s, Steffani’s duets require top-notch singers: musicians who can negotiate intricate rhythms and dazzling roulades, who can match their voices with a partner’s in a pairing that involves collaboration as much as competition, and who understand unwritten conventions that call for elaboration at cadences and in da capo repetitions. Soprano Amanda Forsythe is clearly at home in this music; despite its artificialities, she makes it sound natural. Never mind the amusing but distracting dress she sported on Friday — can-can mini skirt in front, floor-sweeping fishtail in back; her musicianship was unfailing. Her high, bright tones were always clearly focused, and seemed to rise effortlessly to the stratosphere. Equally accomplished, soprano Emöke Baráth displayed a somewhat warmer and more rounded tone quality throughout her range. Christian Immler’s versatile baritone seemed ideally suited to this repertory, encompassing a light and flexible tone quality in the upper range along with penetrating bass tones. Tenor Colin Balzer’s singing was notable not only for its stylistic accuracy but also for the expressive warmth it took on in the lower range. Paul O’Dette on theorbo and Stephen Stubbs on Baroque guitar led the continuo group and were also the musical directors for the entire ensemble. Erin Headley’s viola da gamba and Maxine Eilander’s Baroque harp supported the singers in some of the duets, providing welcome tonal variety, as did harpsichordist Michael Sponseller, who played a sonorous double-manual German instrument by master builder Allan Winkler. Steffani’s duet for soprano and bass, “Tengo per infallibile, bella Clori, che morirò” (I take it as certain, lovely Clori, that I will die), opened the program. The text is based on an elaborate conceit: hot tears attempt to put out the fire in the lover’s heart but are turned by Cupid into a “water salamander;” burning sighs are transformed into a cold wind that transforms a lover’s breast into snow. Amanda Forsythe led off the first pair of lines, followed in canonic imitation by Christian Immler; the pair alternated in a series of similar imitations, the imitations becoming closer in cadential elaborations. Beneath these free variations, and often conflicting with their phrase structure, the continuo players maintained an ostinato bass pattern. At the words “Infocati sospiri” (Burning sighs), the lover (Immler) shifted to an impassioned accompanied recitative interrupted with flights of melody. The imitative duet texture with its chaconne bass returned in the final pair of lines depicting the murmuring winds and chilling snow. Beyond mere word painting, this duet offered a masterful interpretation of shifting emotions in distilled musical form. The duet for two sopranos, “Quanto care al cor voi siete, mie catene” (How dear to my heart are you, my chains), exploits the imagery of love’s chains in closely interlocked chains of sequential imitations. Matching their voices beautifully, Forsythe and Baráth carried off a feat of exquisite collaboration and stylistic refinement. Emphatic declamation on the words “mai, mai” (never, never) and “per pietà” (out of pity) contrasted with the more optimistic final line in fast triple time: “La man che mi legò, quella mi scioglia” (May the hand than bound me free me). As Stephen Stubbs points out in his informative program notes, Handel seems to have been particularly impressed with the expressive musical imagery in this duo, since he borrowed from it for two of his own duets. Tenor Colin Balzer was paired with Emöke Baráth in Steffani’s “E perché non m’uccidete” (So why do you not kill me). The text, by Brigida Bianchi, an actress and singer at the Comédie Italienne in Paris, evoques the imagery of wounding eyes. In the long opening stanza Balzer’s use of expressive vibrato in his first entry was particularly effective, as were the dramatic high entries for both voices in the first of two contrasting middle stanzas. The two singers rivalled one another in rapid succession, culminating in a bit of word painting as the eyes were compared to “comets of doom.” A lover’s cruel eyes were again the focus of “Occhi belli” (Lovely eyes) sung by Forsythe and Balzer. Enfolded between opening and closing duets, two solo sections — one for soprano, the other for tenor — required adroit shifts in meter and key in a series of mini-arias. ”Su, ferisci, alato arciero” (Come on, shoot, winged archer), sung by Baráth and Forsythe, adopted a “furioso” mode in a virtuosic contest that mocked the paradox of the painful wounds and sweet delight conveyed by a glance. The text of “Gelosia” (Jealousy) is by the Marquis Bartolomeo D’Ariberti, who served as the Elector Palatine Johann Wilhelm’s special envoy in Madrid in 1698. With the continuo reinforced by Baroque harp, the first and last movements matched Amanda Forsythe and Colin Balzer in melting imitative arias. The intervening stanzas showed off the singers’ expressive eloquence in two dramatic accompanied recitatives, each punctuated by a lyric flourish, arioso style, that highlighted such crucial words as “inganni” (deceits) and “veleno” (poison). Emöke Baráth joined Christian Immler for the rousing finale, “Fulminate, saettate” (Blaze, fly forth). Here a raging tirade in fast triple time inveighed against the wounding danger of blazing, darting eyes. The fury of this rage was embodied in the opening and closing duet stanzas, where the intricacies of contrapuntal exchange between the two voices served more to intensify the overall affect than to represent an actual dialogue. Both Baráth and Immler maintained this rapid-fire dramatic intensity in the intervening solo stanzas that hinted at the mutual revenge of spurned lovers. Instrumental pieces from Steffani’s world performed by various members of the continuo group intermingled with the vocal duets. In Francesco Corbetta’s Sinfonia for Baroque guitar and continuo, Stephen Stubbs displayed the instrument’s dual capabilities in both plucked and strummed modes. Virtuoso harpist Maxine Eilander, like many harpists of the Baroque era, borrowed from Girolamo Frescobaldi’s keyboard works in adapting his Partita sopra la Ciacona (Variations on the Chaconne bass) for her instrument. In another borrowing, an aria from one of Handel’s Roman cantatas was adapted for the viola da gamba by Erin Headley in a performance that took full advantage of the instrument’s sonorous bass and expressive upper range. The well-known Air and Variations, nicknamed “The Harmonious Blacksmith,” from Handel’s Suite No. 5 in E Major, was performed by harpsichordist Michael Sponseller. Employing sensitive variations of touch and articulation, he maintained an unhurried pace against the ever-increasing density of virtuosic elaboration. 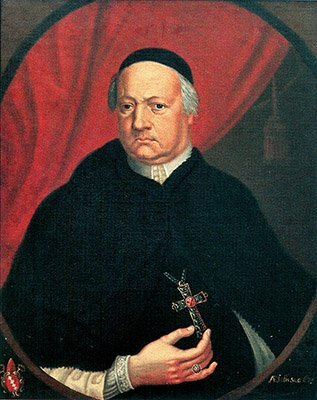 Paul O’Dette has been something of a champion of the works of Giovanni Girolamo Kapsberger, a German composer active in Rome in the mid-17th century. In Kapsberger’s Toccata arpeggiata, a prelude outlining shifting harmonies, which could be heard as a double melody of bass and the top notes of arpeggiated chords, was followed by chaconne variations in lively triple time. Virginia Newes, who lives in Cambridge, was Associate Professor of Music History and Musicology at the Eastman School of Music.